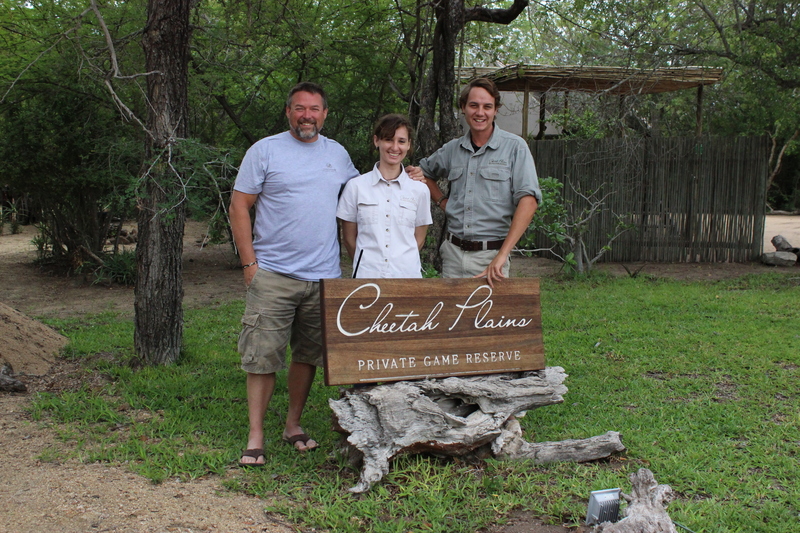 In December 2016, Cheetah Plains had the pleasure of hosting Wayne and Nikki Bolton, a wonderful couple with an inextinguishable passion for the bush and its conservation. Wayne and Nikki founded OLLI – One Land Love It – and work together with their two children, Daniel and Laura, taking an active stance against poaching and spreading awareness through social media and exciting events – one of which will be taking place in July! After spending time with Wayne and Nikki; we were totally captured by their resolve and passion. To make this piece fruitful, a few questions were compiled to help give you, our readers, a bit of insight into OLLI’s goals and hopefully spur an increase in volunteers! Any information you can provide on July’s event and the Olli Frontier Rhino Ride, as well as any other planned events, will be great! Q: Rhino poaching has always been and has radically grown into a blatant problem. There are a few projects, such the STOP Rhino Poaching group, which are doing what they can to aid the fight. This being said, what spurred the OLLI project and how do you hope to make a difference? A: “The Rhino has previously been in dire straits and thanks to conservationists like Ian Player this situation was turned around but the facts are that since 1970 we have lost three fifths of our vertebrates in the world, in the last century we have lost 90% of our elephant and each month we are losing approximately 30 elephant and approximately 90 rhino as the situation has once again become dire. The situation is escalating with the threat of extinction of species in the wild such as the giraffe and cheetah among so many others. There is a crisis in conservation and many working tirelessly to make a difference from Rangers, like our SANParks Rangers, who are at the forefront of this battle and those who deal with the collateral damage such Care for Wild Africa who are committed in their determination to make sure that not one rhino calf is lost. These are often unsung Conservation Heroes who need to be acknowledged and thanked for their investment in our natural heritage. The reality is that that despite the various projects and efforts of so many there is the fear that this is a losing battle. As ordinary people we cannot afford to sit by and watch. How can we say that the rhino or elephant …. These iconic species… became extinct in our lifetime. It is not acceptable to say we did nothing… anything to try to make a difference. As an ordinary family man with a passion for the bush this spurred on the beginning of One Land Love It. I would describe myself as a son of the African soil, blessed by the times I have been able to spend with my family enjoying nature, getting our feet in the African soil and breathing deeply with appreciation for all that it represents. I wanted to give back. I did not want to sit on the side-lines, throw up my hands in vain… however clichéd it may sound… I was determined to be the difference I wanted to see. Often we look at overwhelming situations and our immediate thought is that it is insurmountable and impossible but we underestimate the ability we have as individuals to make a significant impact through our talents and resources. The only difference between ordinary and extraordinary is the word “extra”… as a family we decided we wanted to do something extra – ordinary and through example to challenge others to do the same. We do not have the luxury of believing “someone else will do it”! Along with my wife and daughter, I am a SANParks Honorary Ranger (the official voluntary corps of South African National Parks) so we already have a vested interest in our national parks and are doing what we can to assist. Our bush home is Addo Elephant National Park, home also to the critically endangered black rhino. We are very aware of the critical role played by SANParks as the official custodian of our natural heritage and the vital role our rangers play in protecting the wildlife and integrity of these parks. These men and women are on the frontline of a battle and face a greater chance of an armed conflict than the SA defence force. We wanted to acknowledge their commitment and the importance of our parks and this appreciation spurred on our first expedition – The One Land Love It Expedition 2015/2016. This July (2017) I will be cycling the OLLI Frontier Rhino Ride. This journey will cover 2000kms in a month starting in Port Elizabeth from Kragga Kamma Game Park moving on to Addo Elephant National Park, Shamwari, Amakhala, Lalibela and so on… connecting approximately 20 parks from the Eastern Cape, through KwaZulu Natal to finish on the Mozambique border. 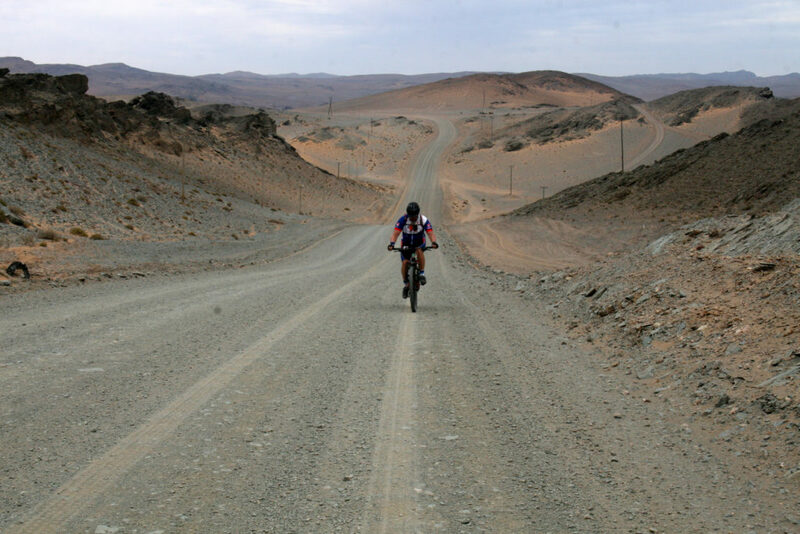 In effect we will complete the last corner of South Africa, including private and provincial parks. As traditional hotspots like Kruger tighten their grip on poaching, poachers seek new targets and the Eastern Cape is vulnerable with its critically endangered Black Rhino population and KZN has been hammered incessantly. The attack on Thula Thula rhino orphange is indefensible and speaks for itself. Private parks, such as Cheetah Plains, are home to 25% of our rhino population which is significant given that South Africa is responsible for 95% of the world’s white rhino and 40% of the critically endangered black rhino. Many of our private parks have wonderful conservation strategies that deserve showcasing. Our parks are also contributing to the economy of our country through tourism and by showcasing our heritage they are engaging people with nature and promoting the need for us all to be conservation minded. This is not a South African problem… even a French zoo can fall victim to rhino poaching. All of us need to take responsibility and step up as responsible citizens. We would like to pay tribute to the role each of these parks play in protecting our natural heritage and preserving it for future generations. During the OLLI Frontier Rhino Ride our Avis Van Rentals support vehicle will tow our lifesize fibreglass rhino called OLLI (an acronym for One Land Love It). Morgan 3D have printed a hollow horn made up of interlocking rings in the colours of the South African flag and at each park we will attach a ring until the entire horn has been covered. A symbolic statement as we fight to reclaim our natural heritage. Q: Please introduce us to the Olli team! A: I prefer to call it the Olli Family. 3 Generations took part in our first expedition in 2015/2016. As a family we wanted to be an example of what can be achieved and so I cycled and on certain legs I was joined by my children, Laura (now 20) and Daniel (22) both students at NMMU. My wife, Nikki, headed up the support team and my parents, Dave and Val Bolton, along with my father-in-law, Martin Snyman, were pulled out of retirement for a new adventure. Melissa Farquhar (our favourite child) is an integral part of the team and considered one of our own family. Many say that this must have been a wonderful holiday, however, 2 ½ months on the road entailed a lot of hard work and the support role was essential. But the Olli Family has grown and we have been encouraged by all those who have caught our vision and invested in OLLI in various ways. We have had companies and individuals giving support in cash, in kind, in time and this was vital to the success of our first expedition. We subscribe to the concept of sharing responsibility represented by #jointcustody. Q: I am aware that Olli takes a very practical approach to raising awareness and funds. Can you shed some light on these approaches? What/where do the proceeds go to? A: One of our main goals is creating awareness and through example challenging ordinary people to make a difference. During our last expedition the value of the PR exposure gained exceeded R3 million which wasn’t bad for a little family from Port Elizabeth. This year we are very excited to have the collaboration of a digital marketing team called For Creative Use Only and the ongoing support of IT Design who designed and sponsor our website. With their support we are aiming to create as much exposure as we can and encourage people to follow our journey through our social media platforms. This year we will be focusing on raising funds for Care for Wild Africa – a rhino orphanage/sanctuary near Nelspruit. As mentioned above, we applaud their commitment and dedication to making sure that not one rhino is lost. They rely on donations to cover their costs each month in order to provide care for the medical, nutritional, caregiving needs of the orphans and their 24 hour anti-poaching protection. Through the sale of OLLI Footprints (which will be painted onto our lifesize rhino Olli with the name of the person donating represented) we are raising funds directly for Care for Wild Africa. An individual can pay R300 or an institution/company R1000 for a footprint. We are also very excited to be running the OLLI #jointcustody School Rhino Challenge where we are challenging our youth nationally and internationally to adopt a rhino orphan and raise funds which will go directly to Care for Wild Africa but also engaging them in finding ways to create awareness and encouraging our youth to become conservation minded. A few schools will support a rhino calf in the spirit of #jointcustody. There is something quite precious about our youth contributing to the conservation of a young rhino population for future generations. We welcome schools contacting us to be part of this project. Through our donations page https://www.oneland.co.za/donate folk have the option of donating funds to Care for Wild Africa. We also provide the opportunity for donations towards operational costs for the upcoming expedition as we do not have a main sponsor. Q: I do recall that you mentioned yourselves being actively involved in doing patrols around the game reserve where you stay? 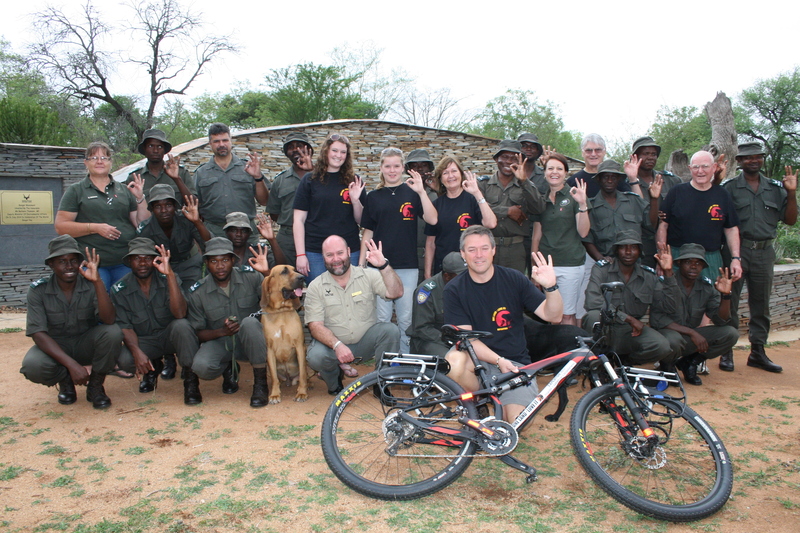 We have been SANParks Honorary Rangers for the last 10 years. This is the official volunteer corps for SANParks and we have done orientation enabling us to do duty in a few parks including Kruger, Golden Gate and Addo. Addo Elephant National Park is where we belong and the park we regard as our bush home. An Honorary Ranger is really a person who has the honour and privilege of serving conservation and we have had the privilege of spending time regularly throughout the year assisting with our resources in any area where Addo needs help. This could include checking fences, filling holes, tourist patrols, visual presence etc along with running projects to raise funds or conducting programmes to facilitate educating the public. Ultimately the purpose is to serve. We love being connected with such an amazing park and with such a fantastic staff especially our Conservation Manager, John Adendorff, who is also one of our conservation heroes. Q: Getting lodges in the Kruger, as well as the surrounding private game reserves and possibly corporate entities to join Olli is a fantastic step in the right direction! What would be the requirements for a company to take part? A: Collaboration, working together in the spirit of #jointcustody is what we propose. Together the strands of a rope are stronger and as we stand on this precipice the only way forward is being united, intertwined and connected in our efforts to say “No more” and through any means available, to make a difference to the course we are on. Extinction cannot be our legacy. OLLI’s purpose is to promote this way of thinking and ring out a call to action. There are many projects and groups making a difference. We feel honoured to have the privilege of directing attention to those beneficiaries we have selected as legitimate and we confidently direct attention to them and the wonderful work that they are doing. We also hope to show that ordinary people can make a difference… never underestimate the power of change that is in your hands. Olli shares a common cause with many of the private game reserves – conserving our natural heritage and drawing awareness to the treasure that we have in our country. Tourism and conservation often go hand in hand. Q: Referring to the One Land Love It Expedition 2015/2016. What route did you follow For the OLLI Frontier? A: We began our expedition with a symbolic send off from the Ranger Memorial at the Kruger National Park, where Wayne got to address a group of dedicated rangers and Glen Phillips was the first signature on our Scroll of Unity in Conservation. Gate 1 on the 28th November was Kruger’s Pafuri Gate, close to the Mozambique border. Strangely enough I was sick all night with a high temperature and splitting headache…not the best start to a 2 ½ month ride. The flip side was that it was raining and this caused great excitement at the gate as the area hadn’t seen rain in months and certainly was one of the few days in our expedition where we had rain as I cycled during a heat wave with temperatures averaging in the 40s and on one occasion reaching 60 in the Kgalagadi region. The route took us to the unexpectedly beautiful and interesting Mapungubwe, to the vistas of Marakele, the spectacular views of Golden Gate and across to Mokala National Park – a park with the purpose of regenerating endangered species. All 19 National Parks have something unique and wonderful to experience and conserve whether the succulents of the Richtersveld or the elephant and critically endangered black rhino of Addo – each park serves an invaluable purpose in sustaining and conserving our natural heritage. We were privileged to see them all throughout this beautiful country and experience the wonder of standing where oceans meet at Agulhas National Park, look out over the vibrant blues of the West Coast National Park’s Langebaan Lagoon flecked with flamingos, see the fields of rose quartz in Namaqua, the lakes of Wilderness or watch an eland silhouetted against the setting sun in Mountain Zebra National Park. We have an exceptional landscape in South Africa and we feel privileged to have experienced so much of it. Q: Other than flat tyres, chains jumping from sprockets and technical difficulties; were there any difficult challenges met along the way? A: 6000kms over 2 ½ months is a challenge in itself. Add to this various weather conditions like the heatwave (the hottest year in 103 years), extreme temperatures and wind; or the landscape with mountain passes, corrugated roads… my body definitely took a beating. I experienced muscle and tendon strain, pressure sores, sunburn (even through my clothes), heatstroke, dehydration and other challenges. I ride a Scott Spark 960 which performed admirably despite almost 500kms of corrugations. Other than punctures, I only had a broken front axle. Getting up each day to repeat the process was also a mental challenge especially when I had to get up at 3:00am to beat the heat in certain parts of the country. Q: Was everyone you encountered along the way supportive of the cause? A: We received wonderful support. When we started the expedition I carried panier bags on either side of my bike with supplies for when I need to camp along the route. SANParks accommodated us at each but in between parks I needed accommodation. I never once had the need to make use of my tent as folk engaged with what I was doing and generously put me up. When you initially do something of this nature you don’t really have any credibility and people are watching to see whether you are going to pull it off or fail. When I reached the 1000km mark I was on my own… no fanfare or anyone to celebrate the moment with. It was a fairly innocuous spot, I propped my bike up against a pole and posted the pic on Facebook. It was a milestone for me personally but the bigger victory was that evening when by chance I saw that my pic and post had been shared in a News 24 article. This was a wonderful milestone for Olli as it showed that we had engaged the media and were on our way to succeed in our goal of creating awareness. Back home our sponsors were incredible with their encouragement as were our followers on social media. Q: For future events like this, such as the 2017 Frontier Rhino Ride, is it open to volunteers who wish to join? A: If a person is interested in cycling a leg in support of Olli along with a donation to our cause, they are welcome to approach us. We are very excited to have the Mayor of Nelson Mandela Bay cycling out with us on the first day of the expedition along with some of our sponsors and a few pupils from schools participating in our school challenge. 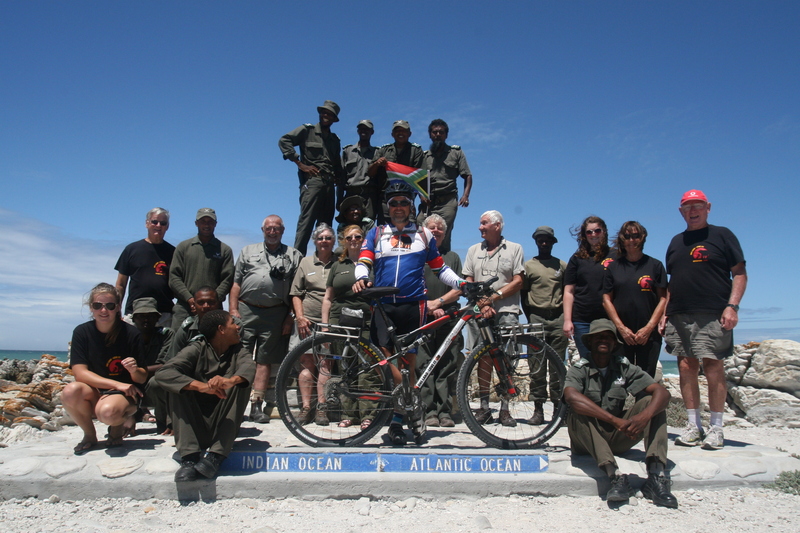 The Client Care team will cycle out with me and ex-Springbok captain, John Smit, will ride a leg with me. Q: Going cross-country by car is one thing, yet it is completely different when being exposed to the elements and a raw view of the landscapes. This country is filled with many hidden gems along the roads! Can you share with us your favourite moments, as well as a couple of the most memorable routes and scenes encountered? A: Travelling on your own along the roads at a slower pace than usual with only yourself as company is a sure way to do some serious soul searching. There were occasions when I didn’t even see a car for up to 45 minutes at a time so I unashamedly admit that there were times when I spoke to the local sheep or raced confused warthogs spooked by my sudden appearance that would take off at pace as if I was a predator and only stop their frantic escape some time after they realised I had passed them and they were actually chasing me. Cycling with my children and sharing this journey with them made for wonderful memories and bonding moments. It is hard to single out one or two places that stood out as the beauty of South Africa lies in its diversity – from the raw isolation of the Ai Ais/Richtersveld, the desert of the Kgalagadi, or the game rich areas of Limpopo. I loved the rugged Tankwa area and the eerie silence of the Meiringspoort, steeped in history. The Garden Route was stunning and Golden Gate presented breathtaking vistas. What a country! We feel that we are at a tipping point in conservation and that it is the sway of the people that will make the difference. We have the hashtag #jointcustody and in this spirit we encourage others to join with us, be responsible citizens, share responsibility and do whatever you can to make a difference. Just don’t do nothing… anyone can do that!